India may be the land of compact cars, but when it comes to compact SUVs, the consumers expect butch proportions, roomy interior and a tall stance. Agreeing with those demands Renault sidelined the smaller Euro-spec Captur and made a larger Captur for the Indian market. 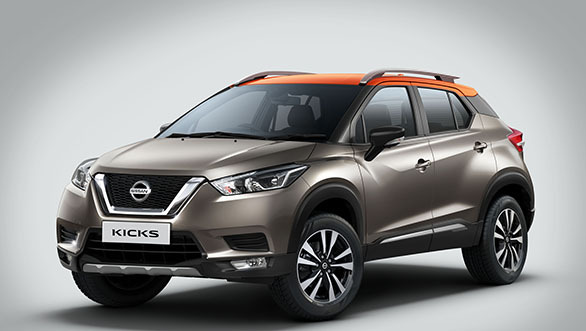 Now its partners at Nissan are following suit as they have readied a bigger Nissan Kicks than the relatively more compact Kicks that we drove in Dubai recently. This new SUV is coming to India in January 2019. How large? Well, it's 89mm longer, 66mm taller and sits on a wheelbase that is 53mm longer than the global Nissan Kicks. In pure numbers, the India-spec Kicks measures 4,384x1,813x1,656mm (including the wing mirrors) and has a wheelbase of 2,673mm. Visually, it looks more compact than the Terrano, but that's down the marginally lower height of the Kicks as compared to the Terrano. 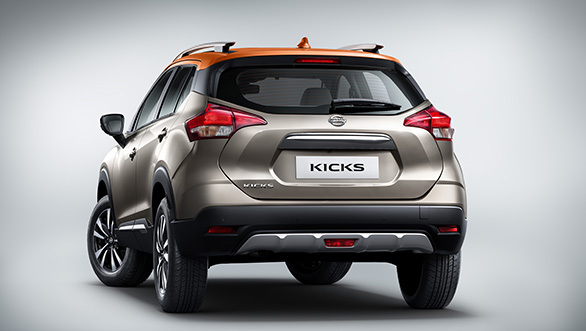 That said, the Kicks comes across as a more sophisticated urban SUV compared to the Terrano's more adventure focussed design. The design of the India-spec Kicks is very similar to its global counterpart, but the larger proportions necessitate subtle changes. The front bumpers have a different sculpting and the fog lamps sit in line with the chin and away from the ornamentation in the bumper. On the global model, the ornamentation forms the housing for the fog lamp. The new signature V-motion grille is carried forward as expected, but the mesh pattern around it is visually different than the global counterpart. Unlike the car we drove in Dubai, the India-spec Nissan Kicks also gets protector beam headlamps. The shape of the headlights is similar to the global car and so is the shape of the taillights. The rear bumper is different too, with a thinner black panel underscoring the bumper. There's a satin finished scuff plate too which adds a bit of sophistication to the form. In our review we had mentioned that we would have liked to see the US-spec grey and tangerine two-tone colour scheme on the India-spec model too and the studio shots seen here confirm that it will indeed be the signature colour scheme for the Kicks when it's launched. 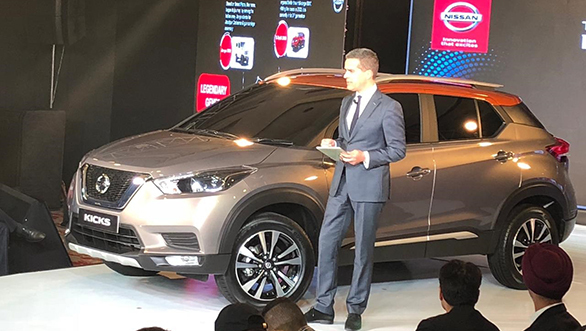 Speaking of which, the Nissan Kicks will be launched in India in January 2019 and will take on the likes of the Hyundai Creta and the Renault Captur.